It'll use AI to read along and even show what's ahead in an episode. Google hasn't had a direct answer to Apple's dedicated Podcasts app. You've had to either listen in Google Play Music (not ideal if you hate merging audio sources) or use a not-well-publicized player built into Android's search feature. 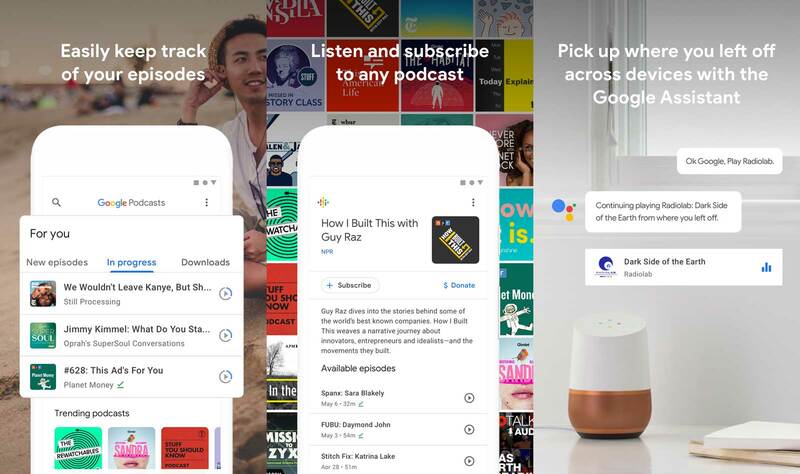 You won't have to make that awkward choice from now on -- the company has released a dedicated Google Podcasts app. As you'd expect, it includes access to a vast library of podcasts (over 2 million) and will sync across virtually everything Google, including Assistant, Home speakers and search. However, the big trick is its upcoming use of AI -- this isn't just a straightforward audio player. The tech giant is planning to introduce multiple AI-driven features in the months ahead. It'll not only read along with a podcast in one of numerous languages thanks to automatic transcription, but will let you "see" what's coming in the episode you're listening to thanks to that transcript. If you don't mind spoilers, this could be a time-saver. The app will also offer proactive suggestions for material related to a given episode in case you want to dive deeper on a given subject. Google didn't have anything to share about an iOS version when we asked, but it did hope for the app to eventually work everywhere its products do. However, the company isn't shy about seeing this as a way to spur adoption of podcasts as a whole. It's simultaneously starting a program that will help grow "diversity and perspectives" in podcasts with an independent advisory board as its guide, so you may see more shows from underrepresented groups as well as fresh ideas that improve the podcasting business. Google is clearly betting that lifting up the entire community will help its own services in the long run.